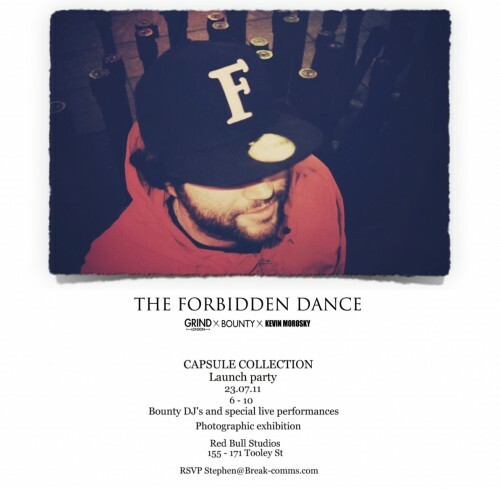 GRIND have teamed up with Bounty and Kevin Morosky to bring us The Forbidden Dance capsule collection. The launch party is happening down at the Red Bull Studios this Saturday. Bounty DJs will be hosting the night along side a special performance by TERRI WALKER – It’s set to be a banging evening! Make sure you get your names on the list before it closes.